It has been a long time since I have reviewed anything from my beloved Asian Food Market. One of my friends wanted to get phở for his birthday, and since the restaurant and grocery store are in the same shopping center, I couldn't resist a little shopping trip. I only bought a few items, so it wasn't haul worthy, but they all seemed really interesting. In the beverage aisle there are tons of different items to choose from. 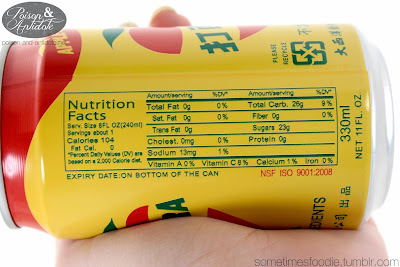 Some of the products are American, some are Mexican, and others come from all over Asia. 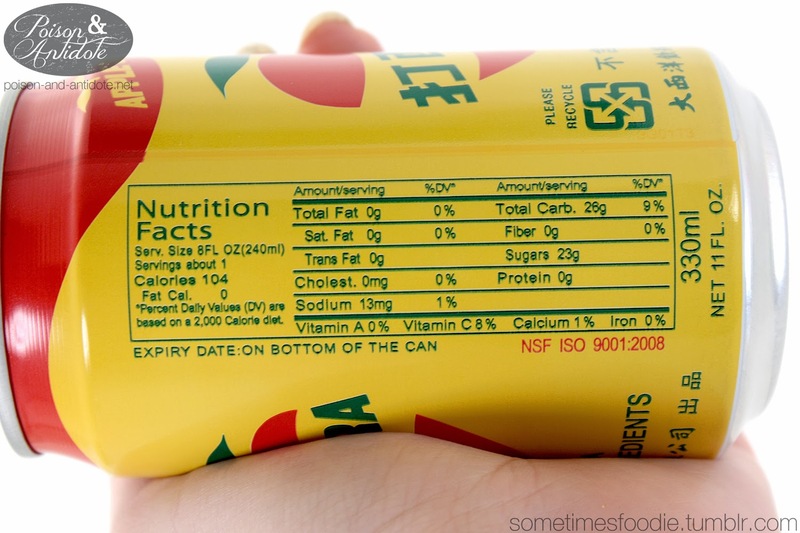 You can buy a variety of bottled sodas and ramunes, canned coffees and juices. It's awesome. My sister was actually the one who picked out this can of soda, she really liked the design and it's colors, and I'd have to agree. The bold yellows, greens, and reds are simple but eye catching. This can really stood out from the others with it's bright yellow color and simple imagery. 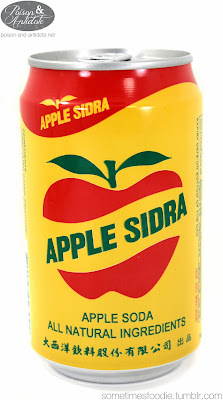 If I had to be nit-picky I'd suggest that the text for "Apple Sidra" in both languages needs a little work to better fit into the curved cut outs of the apple, but that is pushing it. On another nit-picky note, I am not sure when and if this can expires. The date on the bottom is...not a date. Is it? I can't read it. 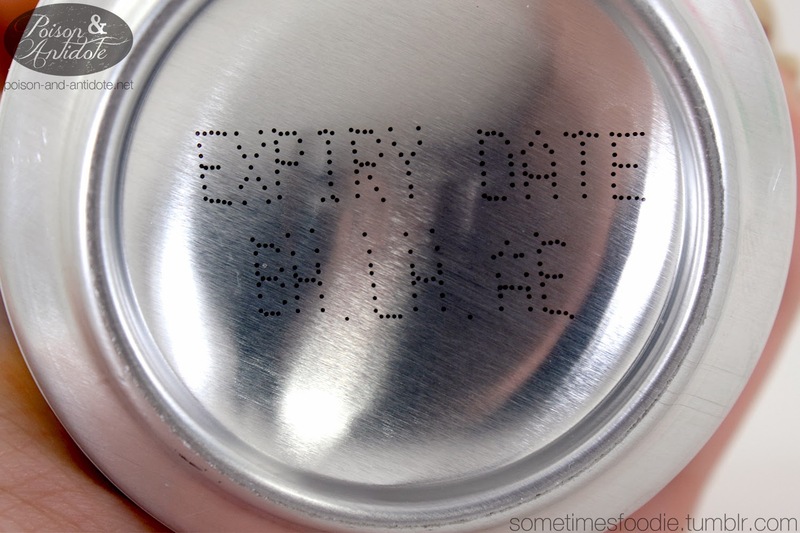 Am I about to drink expired apple soda? 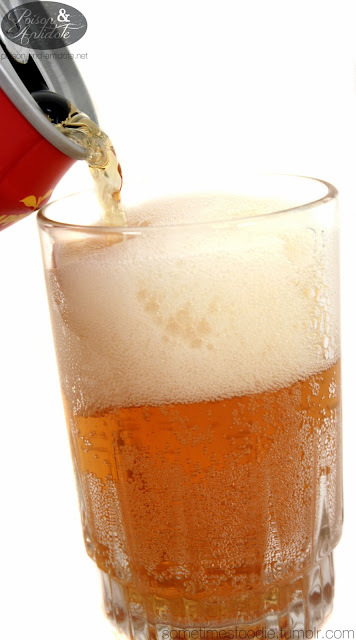 I opened the can and started to pour it into my glass. 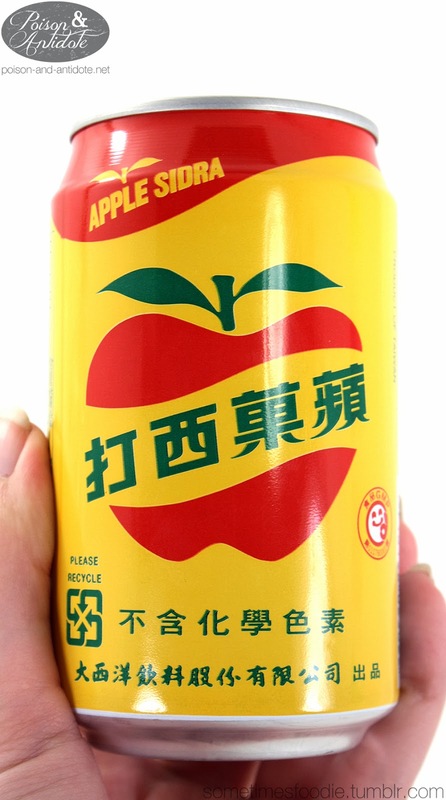 It was a golden color, similar to apple juice, and it smelled like a mixture of ginger ale and apple concentrate. Not a bad combination. 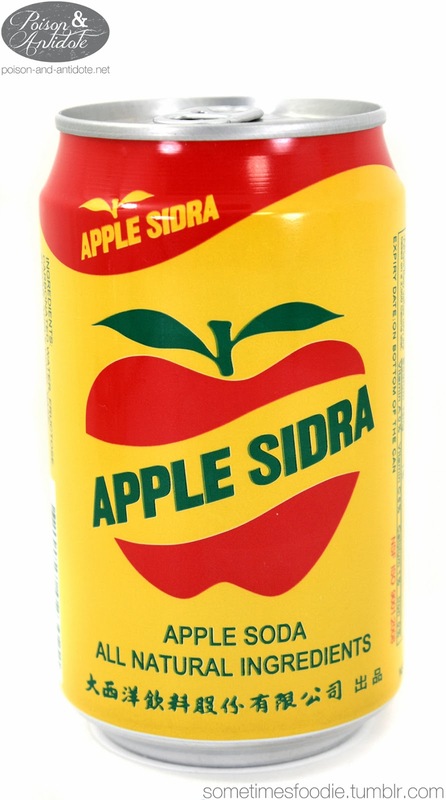 Although the apple flavoring was very light, it made this soda very refreshing. I enjoyed this more than I thought I would, and I could see this being a fantastic drink for summer.